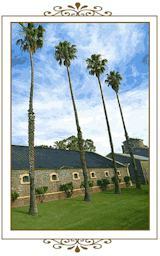 Seppelt have had more experience with this uniquely Australian style of wine than anyone else in the world. Although there are no precise records, it appears that Seppelt wre experimenting with sparkling red wines as far back as the 1890s. Seppelt Original is constructed to true Method Traditionelle. An assemblage of intensely flavoured Shiraz wines, barrel matured and aged on yeast lees, creating a complex Cuvee with great depth of flavour and length of fruit, long dusty oak, mouthfilling berry plum flavours and a resplendent, lively effervescence. It's part of the foklore at Seppelt that Dame Nellie bathed in the stuff (once) and that when she got out of the tub, there was a mad scramble by the winery staff to fill bottles with what she left behind, in an effort to cash in on the superstar's celebrity. Throughout a century and a half, the House of Seppelt has built a reputation of innovation and uncompromising dedication to quality, harnessing the strengths within each parcel of fruit to create expressive varietal and regional wines of great character. Following primary vinification, base wines are put to rest for a year in a mix of fermenters and French oak vats, before a secondary ferment in bottle and extended maturation on yeast lees. Dark purple with crimson hues. Rich and intense nose, fresh raspberry and cherry fruit aromas, subtle sweet spice notes and bottle ferment complexity. Vibrant red berry and cherry flavours continue onto the palate. Soft tannins and acidity are balanced by a fine mousse, a wine of impeccable balance and generous length, true character and real charm, resolving on a long, drying, fruit filled finish. Ideally suited to duck and game.